Shane Warne believes that Steve Smith and David Warner will be better than ever when they come back. Bowling legend Shane Warne on Wednesday said that Australia are in desperate need of their former captain Steven Smith and David Warner as they are lacking in their batting department. Since Smith and Warner's ban, Australia have played one Test, five ODIs and six T20Is. Out of which, they lost the Test before being white washed by England in ODIs and T20I. Australia further lost two T20Is in a Twenty20 tri-series. "I still think they'll be back, we need them, we're desperate for them. Have a look at the Australian side at the moment, we're lacking in batting so we desperately need them", Warne was quoted by ICC-cricket.com as saying. 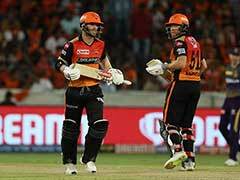 Warne further added that the batting-duo will be better than ever when they come back. "We sort of want to rush them back but they'll do their time, they'll pay their penance, their 12 months, and then they'll be back and be better than ever." 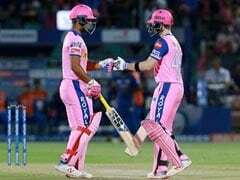 Meanwhile, Warne said that in Smith and Warner's absence no other Australian batsmen have cemented their place in the squad. 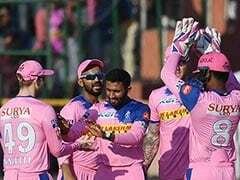 "I don't think any of the batsmen have really consolidated themselves ... all of their spots are up for grabs, the all-rounder's spot is up for grabs," Warne said. Meanwhile, Warne opined that Australia should pick their team first and then choose the captain and not the other way around. Tim Paine was appointed Australia's ODI and Test captain after Smith and Warner were banned for their involvement in the ball-tampering incident. Under Paine's captaincy, Australia have lost all six games - five ODIs against England and one Test against South Africa. "The Australian way is always to pick your best team," Warne said. "There's a lot of talk about 'should Tim Paine be in the side'. He's the captain at the moment. We as Australians should always pick our best team and then pick our captain and vice-captain from that. I don't think we should just make a captain and then fit a side around him." 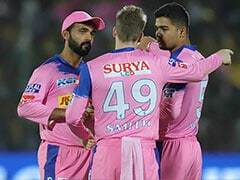 Commenting on the fact that the captain and vice-captain's posts were still up for grabs, Warne said, "I want to see us pick the best side possible. If Tim Paine's in the best side and he's the best guy to be captain, then make him captain." However, Warne believes that spinner Nathan Lyon is a strong candidate for being the captain. "He's a senior player. He's an experienced player in the side, (and) spinners generally think about the game pretty well. Nathan Lyon thinks about the game pretty well," Warne added.